There have been a lots of articles popping up that give pointers on how to have a successful ‘Fest-ing experience: what to eat, what concerts to see, activities for kids, even tips on how to celebrate without running into any trouble. It’s no secret that we at Discover Lehigh Valley and the Lehigh Valley Ale Trail appreciate a good craft beer. With the help of our great partners, we’ve compiled a pretty inclusive list of all the hot spots for craft beer lovers over the next ten days. In addition to these locations, Musikfest will also have beer tents/truck located throughout the grounds offering Yuengling products, among other options. Bethlehem Brew Works will feature mug refills of Blueberry Belch, Zomberbier, and Weyerbacher&apos;s Verboten outside. If you&apos;d like to fill your mug with a different variety from the Brew Works, you&apos;ll have to pop inside to do so. The Steel Pub will serve as the exclusive location of local Saucony Creek Brewing Company out of Kutztown. They will have four varieties available for mug refills, including fan-favorite Maple Mistress. Corked Wine Bar & Steakhouse will offer mug refills of craft beer including Doylestown Lager, Oskar Blues Dales Pale, and Abita Purple Haze, Bells Two Hearted Ale. Tapas on Main will offer mug refills of domestic and craft options including Goose Island IPA. McCarthy’s Irish Pub will have mug refills of Goose Island 312 Pale Ale and Shock Top Belgium Wit available outside. Inside, you’ll find Stell Cidre and Troegs varieties. The Sun in Courtyard will have beer tents featuring varieties of Shock Top, Victory, Troegs, and Goose Island to refill your mugs. Molly’s Irish Pub will feature craft mug refills, including varieties from Smuttynose, Rogue, Anderson Valley, Yards, Sierra Nevada, and more. Mug refills will also be available at Sweet Indulgence Café, The Bayou, Broadway Social, and the Vision Bar at Sands Bethlehem Event Center. 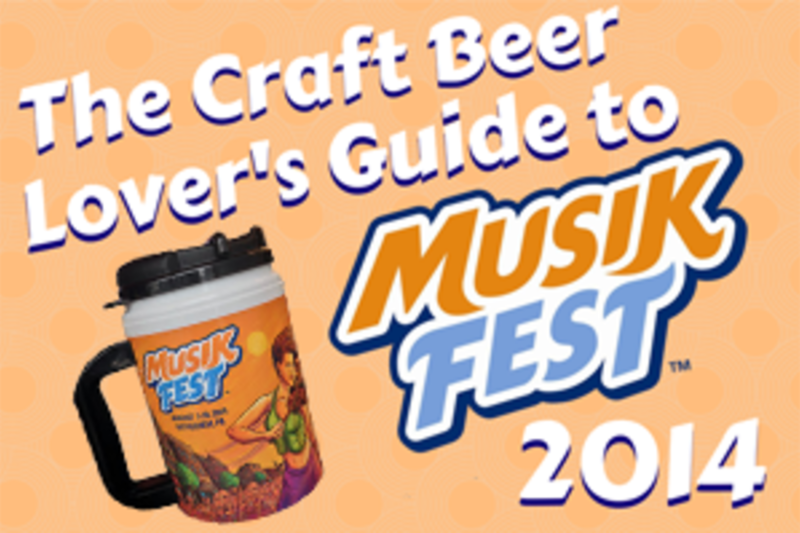 Cheers to another great year of Musikfest and, as always, be sure to celebrate responsibly! Are we missing something from our list? Send it on over to Kaitlyn@DiscoverLehighValley.com and we’ll get it added in!